Shuffleboard apps are a fun way to enjoy your love of the game anytime, anywhere. These apps allow you to play digital versions of shuffleboard as well as fun, innovative, and often addictive new variations. 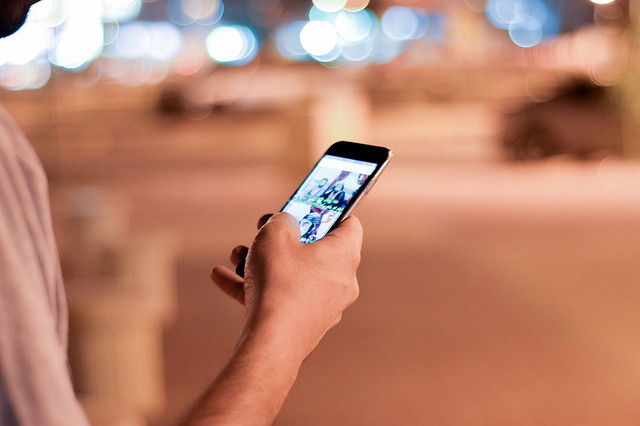 Whether you’re a serious player wanting to take your passion on the go, or you’re just looking for an entertaining way to pass the time, we’ve got an app for you. 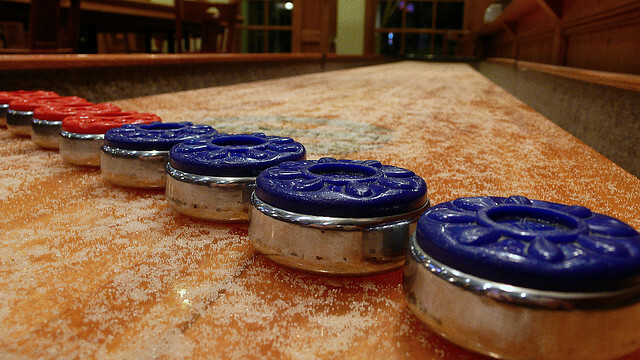 Here are five of the coolest shuffleboard apps for your iPhone or Android. 10 Pin Shuffle Bowling by Digital Smoke. This shuffleboard app gives you three games in one, offering two fun variations on the traditional version. Play 10 pin poker, shuffleboard bowling, and traditional shuffleboard against a friend or a computer. The high-definition graphics have a realistic 3D look that will draw you into the game. Once you get started, you’ll get the hang of the controls in no time. It’s available on iPhone and Android devices, including tablets. Shuffleboard Score Keeper by App4That. If you have ever wanted an easier way to keep score while you are playing shuffleboard, this is the app for you. It allows you to enter the names of the players and their scores for each round. It also includes a helpful summary of shuffleboard scoring rules in case you need a refresher. This app is available on Android devices. Ultimate Shuffleboard by Peak Systems. If you want to unwind and play shuffleboard with your friends or family, this app is the next best thing to the real game. You and a friend connect on the app using Wi-Fi or Bluetooth. Then you face off in a shuffleboard match that will put your skills—in this case, your finger-flicking abilities—to the test. This shuffleboard app is a fun, easy-to-play version of the game that brings people together—you can connect up to eight iPhones at a time as you face off against each other. There’s also an interactive training tutorial that helps you brush up on your skills (no pun intended). Available on iPhone. Shuffleboard DX by EntwicklerX. This shuffleboard app offers a new spin on the classic bar game. The basic idea is the same: slide a puck down the playfield into the scoring area. The playfield doesn’t look like a traditional shuffleboard, though. There’s no gutter, and when you play in “barricade” mode there are obstacles you must avoid in order to get your pucks to the highest-scoring areas. The app allows you to play against a computer, another player, or on your own. As you play, you can earn stars that allow you to unlock the next level. This simple, addictive game is available on Android. Dutch Shuffleboard by True Craving (Android) and iSjoel by Sander Brugmans (iPhone). If you want to shake things up a little bit, try a Dutch shuffleboard app. While each app is made by a different developer and thus will vary slightly, the basic game-play is the same. Dutch shuffleboard involves sliding wooden pucks into the scoring boxes, labeled 2, 3, 4, and 1 from left to right. This version of shuffleboard is a bit easier than the real thing, which makes it great for kids. Enjoy a version of this app on both Android and iPhone. These shuffleboard apps are a fun way to pass the time and enjoy shuffleboard on the go. They’re also a great way to get your kids interested in the game. Once you’ve got them hooked, get them started on one of our high-quality shuffleboard tables.